Process mapping is a technique used to graphically document each step of a process in an ordered sequence, incorporating details such as the various people responsible for specific tasks. It can be done at differing levels of detail and for a variety of purposes, but at the very least it provides the opportunity to understand what the inputs and outputs are of each process, who is responsible for completing each phase and how it is accomplished. While in the Philippines, I was able to train the staff on how to use software to do process mapping, empowering them to map any future processes following my departure. In the spirit of teaching someone to fish, instead of just giving them a fish, this was a very important aspect of the project to me. I wanted to ensure that they felt confident in their own ability and that they could continue to benefit from using this new technique once I had left. I found the preparation work I did before traveling to the Philippines to be invaluable. There was so much that could be done upfront: finding sponsors for the required software and training materials, starting to build a relationship with the staff and working through existing documentation related to the project. My advice to prospective BwB volunteers is to do as much preparation work as possible before going to the field so that you can maximize your time there. After travelling for 14 hours by plane and another seven by bus to my destination, I was welcomed most graciously by the staff members who supported me during my stay. RSPI’s leadership encouraged the staff to be open with me, as we discussed, validated and presented the processes throughout the week. I really appreciated the commitment they all showed, their honest contributions and the fact that it was a broad cross-functional team, which included senior managers from the Audit, HR, Operations and Research departments, as well as the Executive Director. I had the opportunity to interact with some of the staff from two branches, as well as a number of the head-office staff. I met some of the clients that RSPI serves, and learned about a few of the products their clients produce. I saw firsthand the vision, commitment and dedication of this professional team, as they live by their values and work to alleviate poverty in their society. 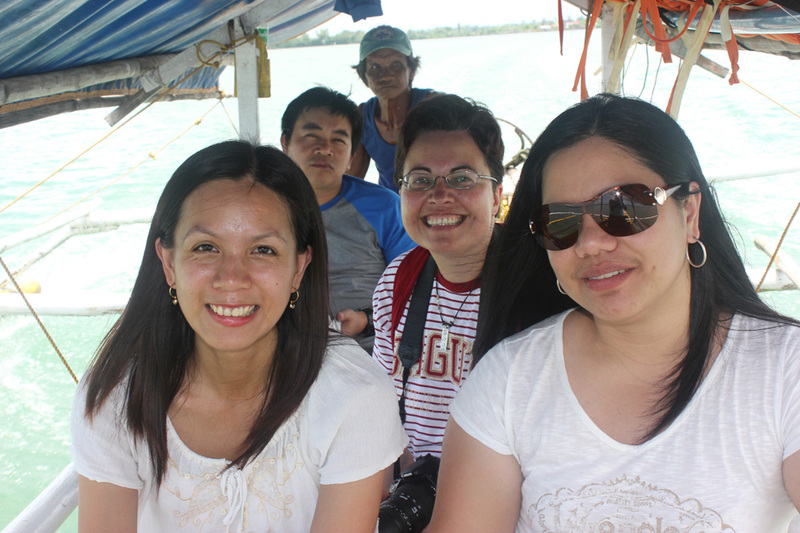 The project team introduced me to authentic Philippine food and their vibrant city markets, and told me how to make use of the local transport – the colorful jeepneys – and throughout we shared an unbelievable amount of laughter, which simply added to the overall positivity of reaching our project objectives. I left infinitely enriched from the exposure to a beautiful culture and country, the relationships built with some really special people and a fond memory of our shared experiences. It was a privilege to give something, but I realized that I had received so much more. For me, it was not goodbye, but rather “hanggang sa muli” – until we meet again. This entry was posted on August 14, 2012 at 11:52 am and is filed under Bankers without Borders, BwB-Import, microfinance, Philippines, Travelogue. You can follow any responses to this entry through the RSS 2.0 feed. You can leave a response, or trackback from your own site. Embracing best practices and process mapping are invaluable to an organisation. Great work Estelle Martinson.